IGNOU: Indira Gandhi National Open University has been all set to ended January session admission 2019 today. According to the official website, 11 Febraury has been the last date for the submission of IGNOU January session admission form 2019. Interested and eligible candidates now have to wait for the next session admission for the year 2019. Indira Gandhi National Open University has been ongoing with January session admission 2019 from last month and closes the same by Today. Although with all new admission session, IGNOU has also introduced numerous new courses. Check out more details regarding IGNOU January session admission 2019 below. Indira Gandhi National Open University started the January session admission 2019 in the month of December only. Earlier it was supposed to end by 31 January 2019, but IGNOU extended the last date. With the new last date, IGNOU closed the admission process on 11th February 2019. Now the candidates will have await for July session admission for the year 2019. Candidates have to first visit the official website i.e ignou.ac.in and then click on fresh admission. After clicking the same, one has to fill up the form for the selected course and then click on the submit button. Although from today onwards, no candidates will be able to fill up the admission form for any course for IGNOU January session admission 2019. 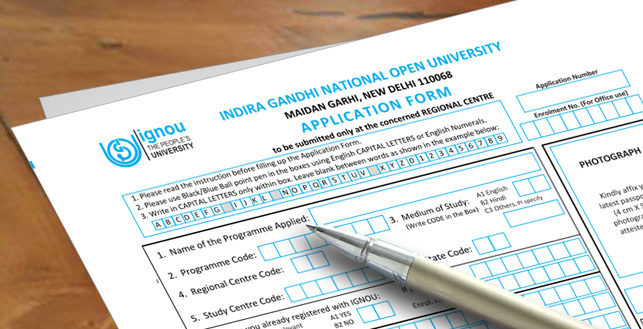 Indira Gandhi National Open University (IGNOU) use to conduct the admission process twice in a year. First admission session has been held in the starting of 2019 i.e January month and the next will be carried out in July month. Although as of now, IGNOU has not yet released any official dates regarding the same. Candidates willing to get admission in IGNOU will now have to wait for July 2019. Indira Gandhi National Open University has been also ongoing with the registration of OPENMAT for July session 2019. Interested candidates can apply for the same online via the official website for the year 2019. Whereas for further more details, candidates must go through IGNOU’s official website i.e ignou.ac.in on regular basis for instant updates.